4/11/2006 · Hi All, I have a Aggregator class that aggregates two classes. When any of the two aggregated classes die I want the Aggregator to die as well. 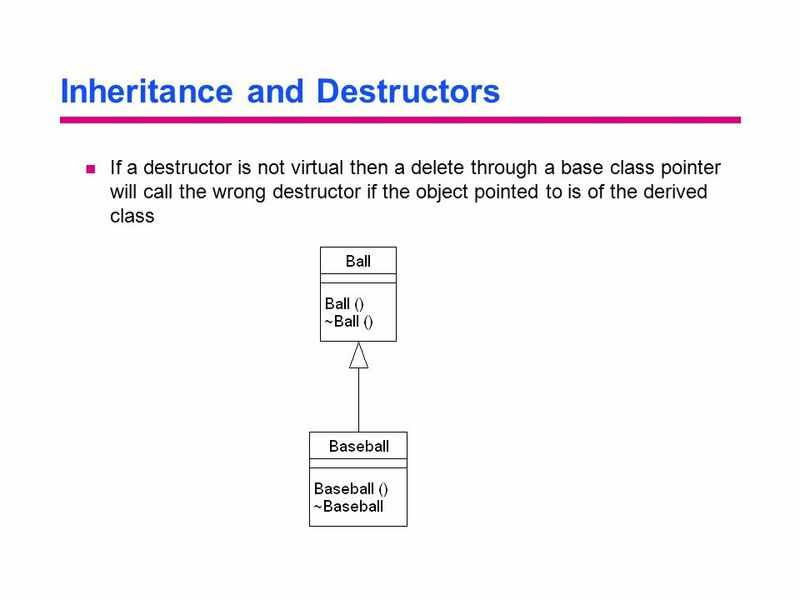 How do I call the Aggregator class's destructor from any of the... C++ Calling Destructor Directly This is not a bug in MSVC. From the standard, §3.4.5 (basic.lookup.classref)/p2-3 (quoting N3936, emphasis mine): If the id-expression in a class. 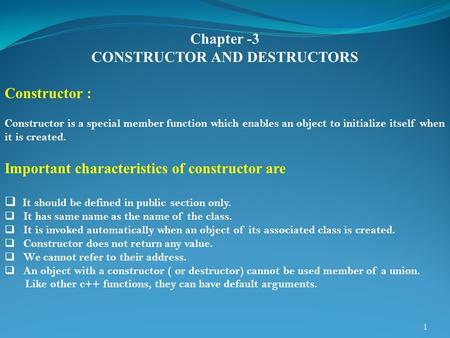 C++ Calling Destructor Directly This is not a bug in MSVC. From the standard, §3.4.5 (basic.lookup.classref)/p2-3 (quoting N3936, emphasis mine): If the id-expression in a class. Exactly all right; I agree fully, but this really does fail to answer the fundamental question the poster had. I believe my answer will give him a better idea of how to 'use' a destructor (since that is the fundamental and simple concept he is lacking) and how it works.